One of England’s most prestigious academies will take on some of Northern Ireland’s best in the Minor U13 section at the 2018 Super Cup NI. Premier League side West Ham United have been pitted against hometown side Coleraine FC Dungannon Swifts and Portadown FC. Group B will see tournament newcomers Reeds FC from India face local side Bertie Peacock Youths, Ballinamallard United and Greenisland FC. There is a ‘Belfast Big Two’ derby in Group C as Linfield and Glentoran are pitted against each other, with Glenavon FC and SPL Academy side St Johnstone completing group C.
The Minor U13 section draw took place at the University of Ulster in Coleraine last night, which will play host to all of the games, except the final which will take place on Friday at the Coleraine Showgrounds. West Ham United will return to the tournament for the first time since 2000 and their manager David Moyes will be delighted to see the club represented at the tournament which is close to his heart. Moyes’ mother was born and raised on the North Coast and he regularly sent Everton sides to the competition and he officially launched the 30th anniversary tournament back in 2012. Scottish side St Johnstone are no strangers to the North Coast and they last appeared in the U16 section back in 1998. 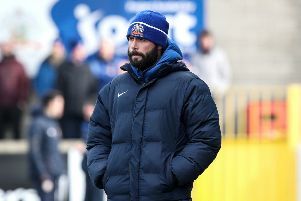 Current Academy Director Alistair Stevenson was in charge back in 1998 and Stevenson is now in charge of youth football at the club which is managed by ex-Northern Ireland international Tommy Wright. The Minor section will get underway on Monday, July 23 and conclude on Friday, July 27. The tournament will once again get underway with the parade through the streets of Coleraine and the opening ceremony at the Coleraine Showgrounds on Sunday, July 22.